Let’s enjoy a sunny day together! 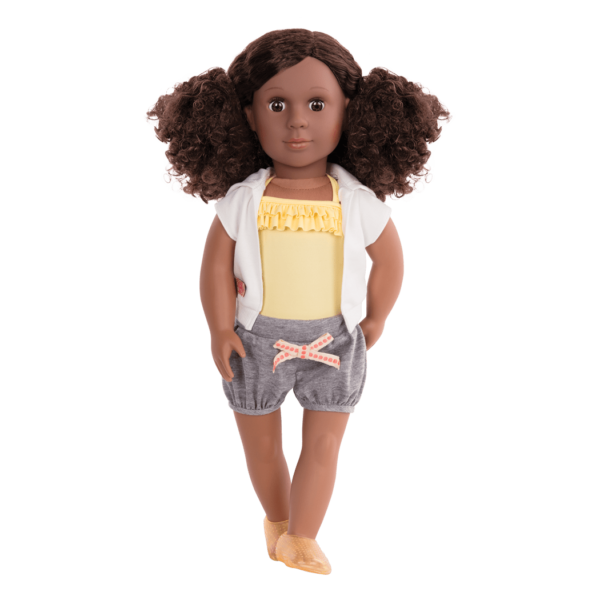 Fun in the sun is where it’s at with Our Generation Deluxe 18-inch Doll – Dedra, a beautiful doll with shoulder-length, curly brown hair and warm brown eyes. 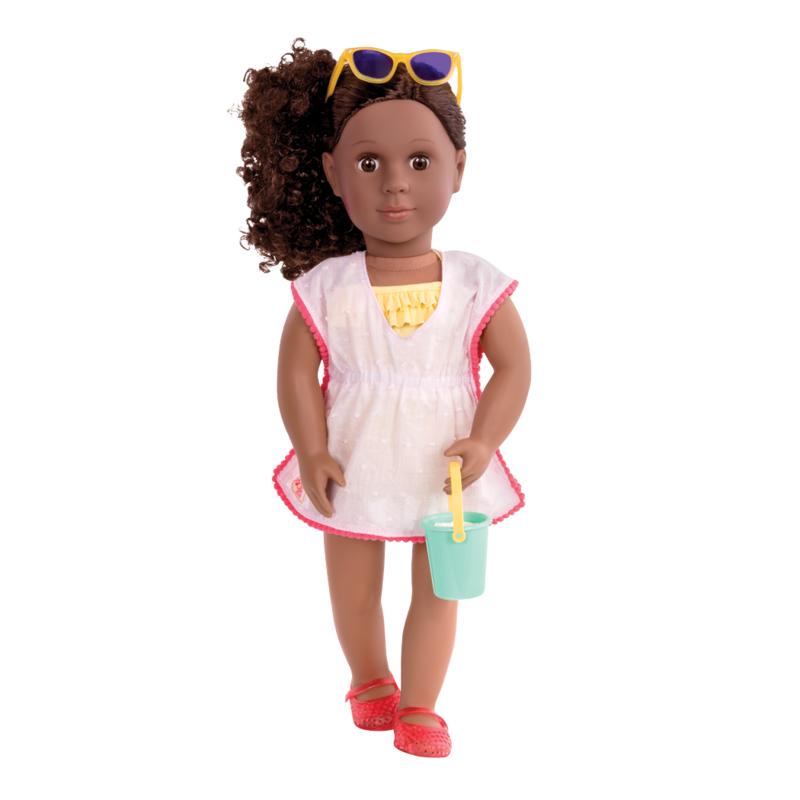 Deluxe Beach Accessories for 18-inch Dolls! Friends & sisters, a united team, there to cheer each other on! Dedra is a posable doll who can bend at the knees and elbows. Her neck, shoulders, and hips rotate and she can be posed in many different ways! Dedra loves to play on the beach with friends! Her beach outfit includes a yellow ruffled swimsuit, a pink swimsuit cover-up, and clear yellow water shoes. 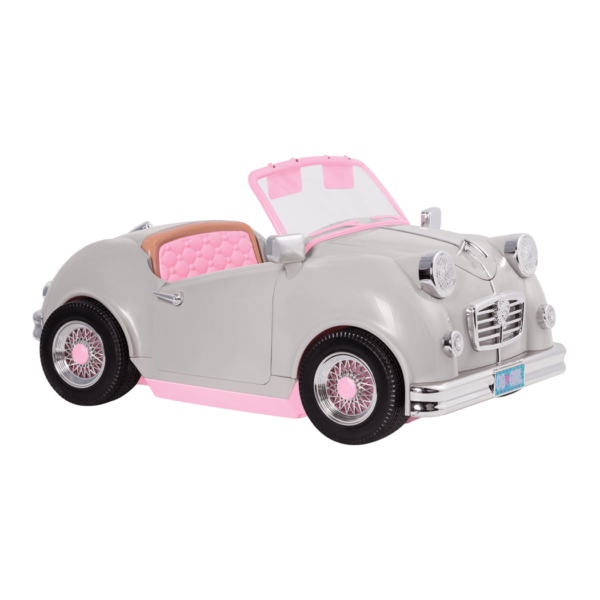 For a different look, she comes with gray shorts with a bow, a white short-sleeved hooded sweater with zipper, and pink jelly sandals. 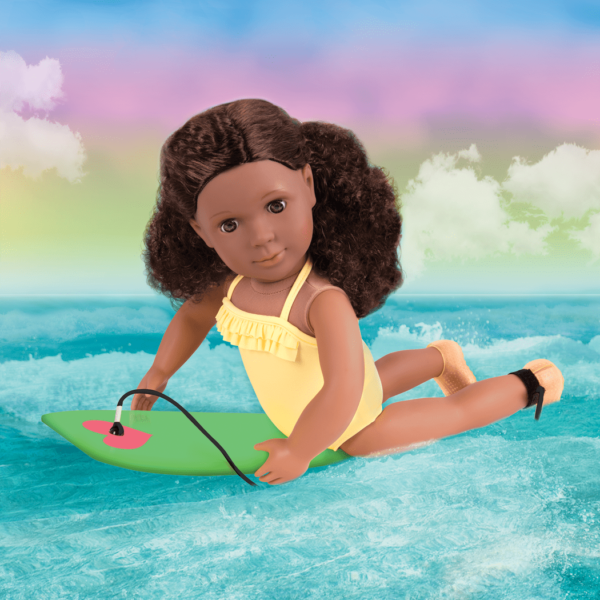 Dedra’s idea of a great day is splashing in the waves with friends and riding the waves on her boogie board! She comes with lots of fun beach accessories to have fun on the sand. 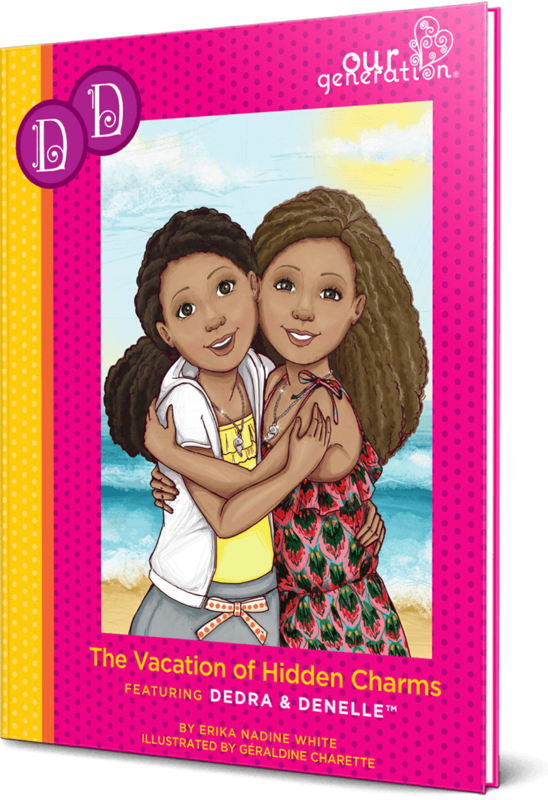 Dedra is a Twin Sister – read about her adventures on vacation with her twin Denelle in the storybook “The Vacation of Hidden Charms!” and collect them both! This easy-to-read book is suitable for younger readers and also makes a great bedtime story. Create your own stories with this inspiring collection! Have you met Denelle, Dedra’s twin sister? Even though they look somewhat alike, they’re very different! Dedra prefers energetic activities like playing sports or riding her boogie board. Dress her in the Fall for Volleyball outfit so she can play beach volleyball with her friends! You can send Dedra and her friends on a beach vacation just like in the storybook “The Vacation of Hidden Charms” with the Seaside Beach House, a great vacation home by the sea, and the Day at the Beach accessory playset that has all kinds of fun beach toys and a great chair for reading! 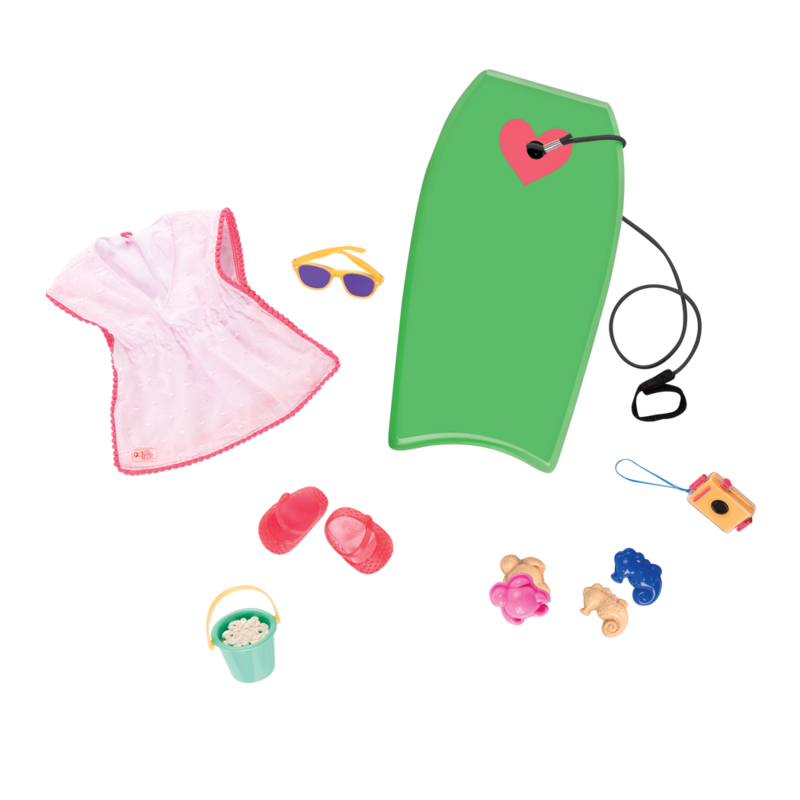 Includes complete outfit, fun beach accessories, boogie board, and more! Dedra is a Twin Sister! Follow her story in the chapter book! Dedra arrives with her hair pulled back in two ponytails, but you can style her hair in a lot of different ways! 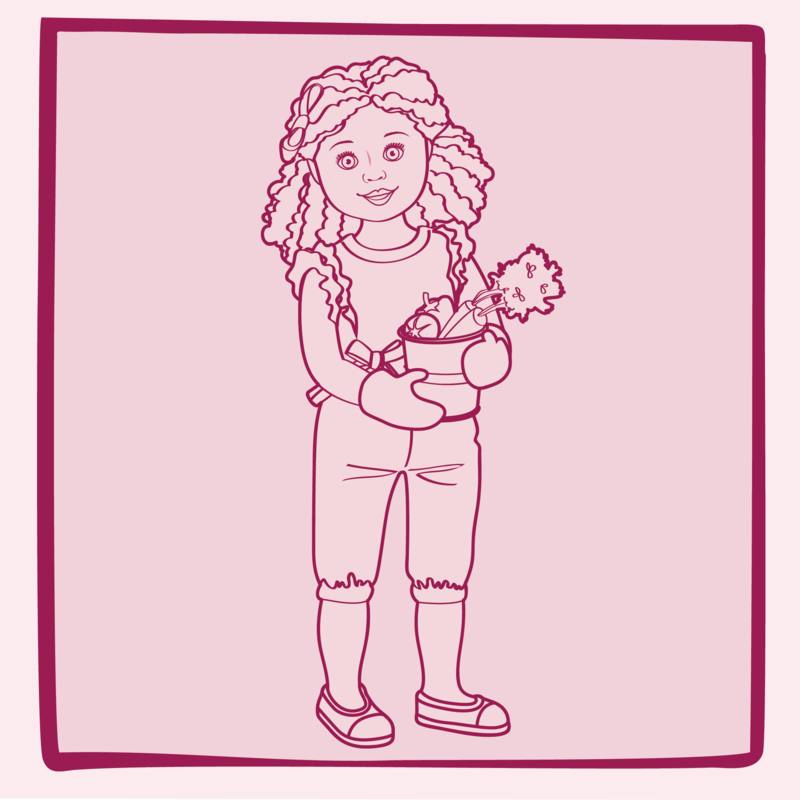 For dolls like Dedra with very curly hair, we recommend using a wide-tooth, flexible comb and always working with very small sections at a time. Even though doll hair looks a lot like real people's hair, it doesn't behave exactly the same way, and it can be harder for it to return to its original shape once it has been straightened. The secret to curls is in their ends! 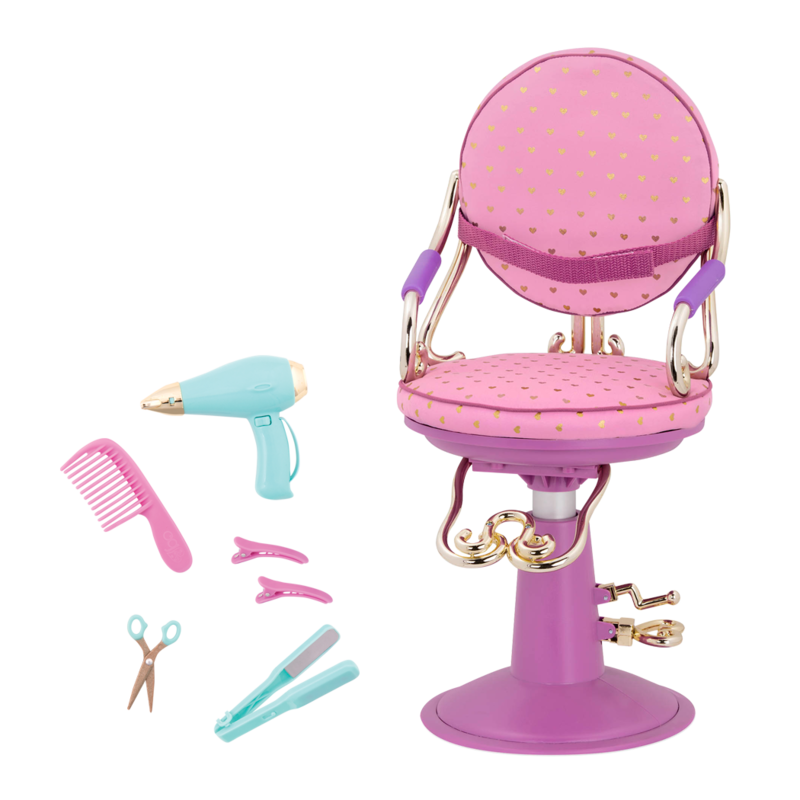 Curly doll hair usually comes in natural sections that have the ends grouped together. We recommend brushing curly hair very gently at the ends. It will help to preserve the curls if you start by combing with your fingers instead of using a brush. If her curls are falling flat, you can divide the hair into small sections, lightly mist with water, combing the section with a wide comb or your fingers, and then very tightly twisting the section into a tight spiral. You may wish to pin it in place to let it air dry. You can also do the same process but use very tight braids instead of spirals. Whichever method you use, please be gentle with curly hair! Dedratm and Denelletm are twin sisters and the best of friends, but on a family vacation by the seashore, they're in for a few surprises. Sometimes a day at the beach is no picnic! My daughter loves this doll, especially her hair. I wasn’t sure when purchasing her if her hair could be comb. Not only can you comb it, it doesn’t tangle and it really full! My daughter loves everything about this doll. She looks like her and she is able to wear clothes like her. 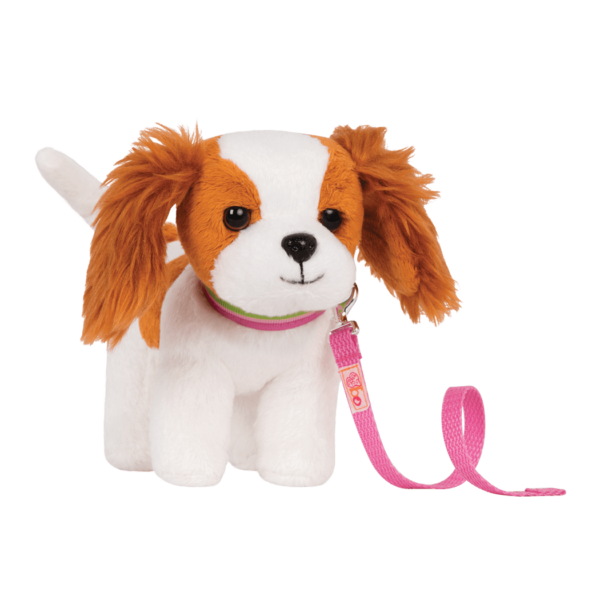 My daughter is 4 years old and this is a great durable doll. I would buy again. 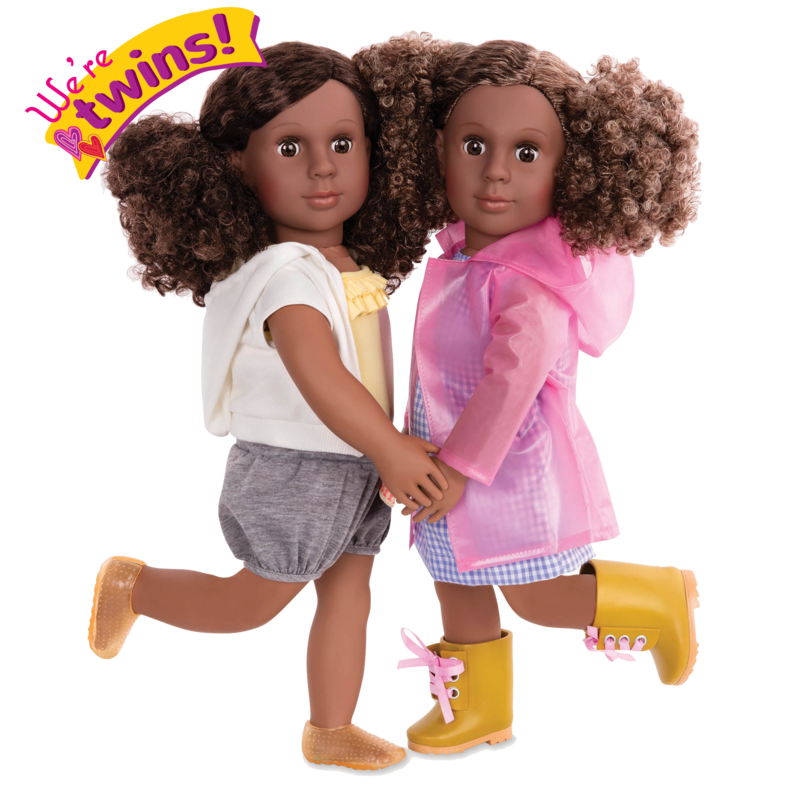 Hi Leighann, We’re so happy that you are enjoying your Dedra doll! 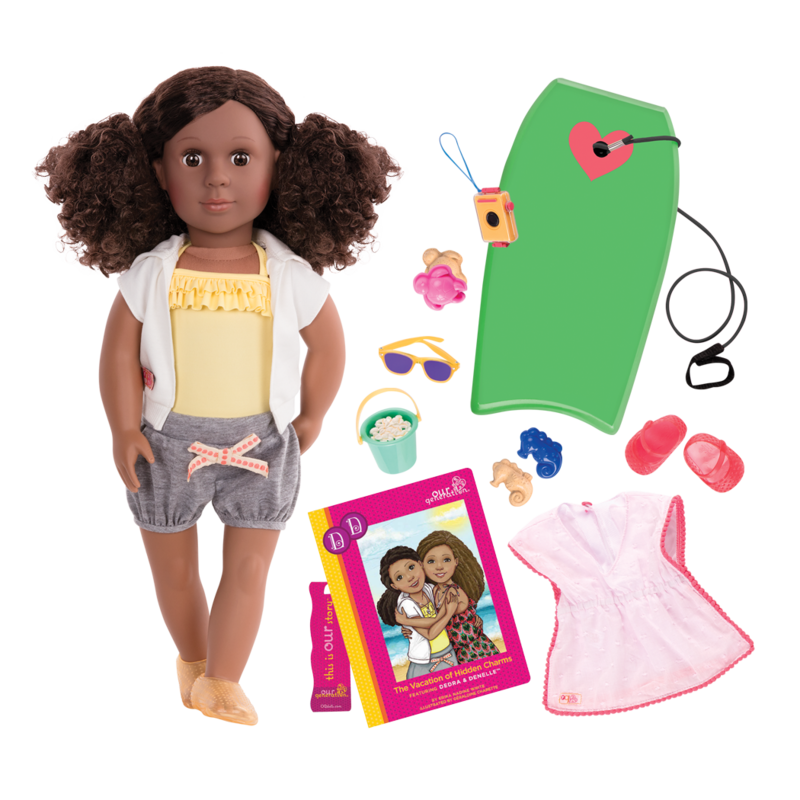 As a Deluxe Our Generation doll, Dedra comes with two complete outfits, as well as other fun accessories and a storybook about her adventures with her twin sister, Denelle. 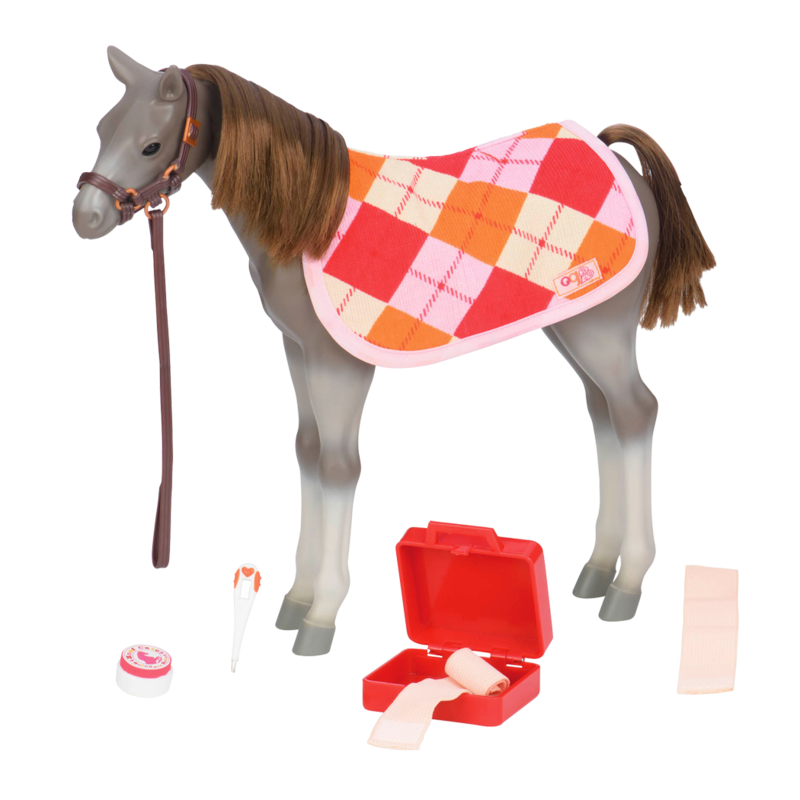 You can check out the “Includes” tab on each doll page to find out the specific items that come with each doll. We hope this answers your question, and thanks for commenting!